An extra special Sunday morning! 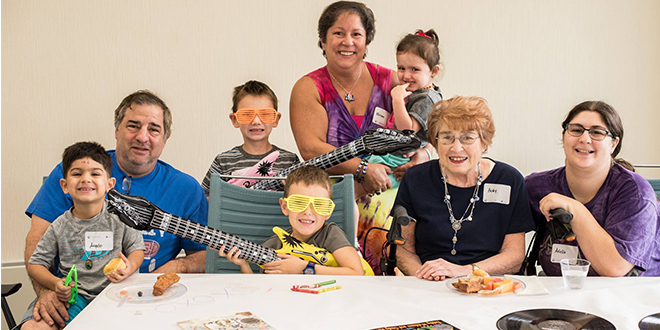 More than 100 bubbes and zaydes, savtas and sabas, grandmothers and grandfathers, and their grandchildren joined us at the PJ Library Grandparents’ Rockin’ Brunch! Together, we ate a yummy brunch and then enjoyed PJ Library Cleveland story time with the book, "Bubbe's Got the Beat," followed by an interactive performance by children’s musician Jesse Friedberg. Special thanks to all of our guests big and small for joining us.